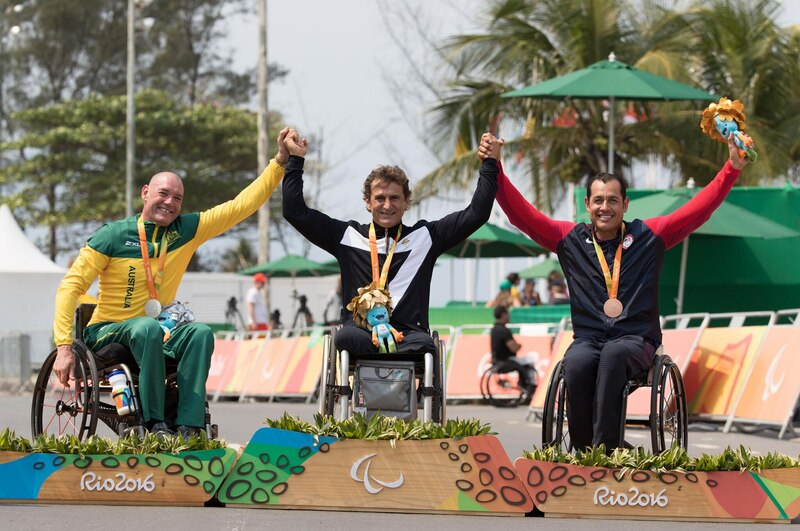 Alex Zanardi, former CART champion and F1 driver, won a gold medal in the H5 road time trial at the Rio Paralympics today. The hand cycling win comes exactly 15 years (minus one day) after he lost both his legs in a race car accident. 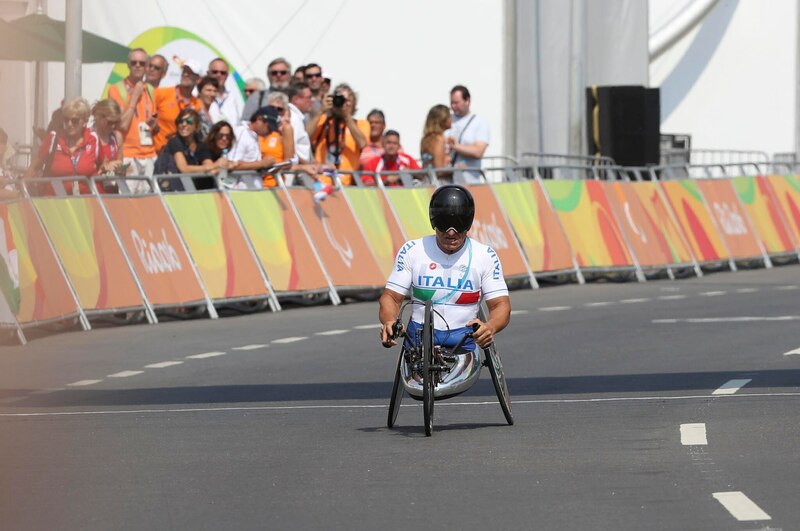 Zanardi finished the 20-km course in a total of 28 minutes and 36.81 seconds, beating out the second-place finisher by less than 3 seconds. Stuart Tripp from Australia was awarded second place, while Oscar Sanchez from the U.S. placed third. In September 2001, a serious crash in the American Memorial 500 CART race required the amputation of both of Zanardi’s legs. Just two years later, he went back to the site of the crash to test out hand controls and continue racing. In 2004, he returned to racing full-time, teaming up with BMW to compete in what is now known as the World Touring Car Championship. By 2009, Zanardi began hand cycling and has picked up eight world titles during his career. He nabbed two gold medals at the Paralympic games in London in 2012.